I read The Martian a year ago this month, just after embarking on the research for my own (non-fiction) book Destination Mars. And it had an impact. Before reading Andy Weir’s novel, although I was fascinated on a theoretical level by the idea of sending people to Mars, I was immensely sceptical about it as a practical proposition. By the time I’d finished the novel, I was an out-and-out Mars enthusiast. Any work of fiction that can change the way you think about a subject – especially one you’re already familiar with – has got to be worth five stars. 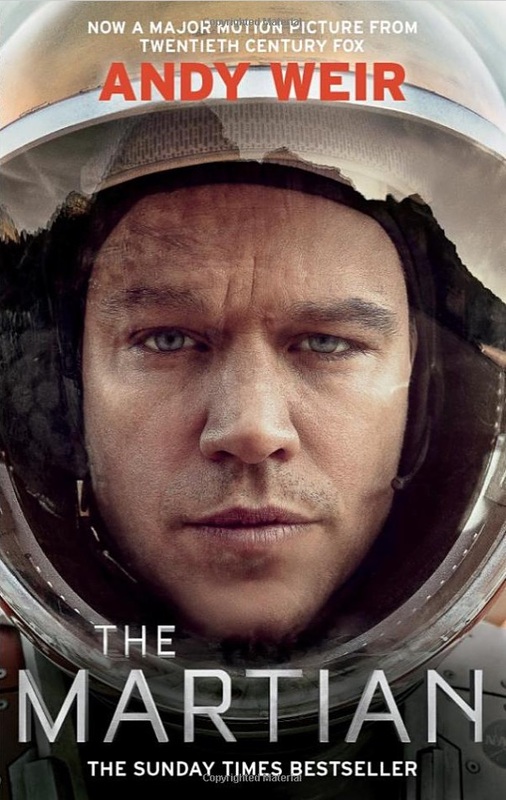 Actually, The Martian is pretty much the perfect science fiction novel. It’s strong on all the essential elements – an edge-of-the-seat plot with an engaging cast of characters, combined with a genuine respect for, and understanding of, a whole range of scientific disciplines. And it avoids all those unnecessary trappings that spoil a lot of contemporary SF, such as complex, soap-operatic relationships and political/philosophical preachiness. The result – in spirit if not style – is reminiscent of the great Arthur C. Clarke. On the inside front cover of the edition I read, Stephen Baxter describes The Martian as ‘the best space disaster story since Clarke’s A Fall of Moondust’. That’s a spot-on comparison; in both novels there’s good science on almost every page – not out of gratuitous geekiness, but because when you’re stranded in a non-terrestrial environment, you really do need a lot of scientific literacy just to stay alive. 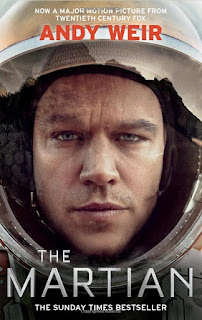 The basic storyline of The Martian – with Mark Watney accidentally stranded on the Red Planet when his fellow astronauts evacuate in the wake of a disastrous storm – will be familiar to anyone who’s seen Ridley Scott’s big-screen adaptation. However, while the movie sticks fairly faithfully to Weir’s plot, the novel’s best bits – Watney’s geeky sense of humour and limitless scientific ingenuity – are toned down to appeal to a wide, non-scientifically-educated audience. Fortunately, that wasn’t an issue when Weir was writing the novel – he originally published it in instalments on his blog, for a small audience of like-minded people. The result is a novel packed with science – not just to deal with the numerous crises Watney is assailed with, but all the everyday stuff as well. There’s physics, chemistry and biology, planetary science and orbital dynamics, electrical and electronic engineering, medical science – and probably a few others I’ve forgotten. In a book that’s so overtly geeky, it’s inevitable that some readers are going to pore over it looking for scientific errors. There are a few of these – perhaps most significantly the huge storm that triggers the mission abort in the first place. In reality, the Martian atmosphere is too thin to support a devastating storm of this type – but without it, Weir wouldn’t have had a story to tell! Interestingly, there’s another small error at the start of the story, which Ridley Scott spotted and put right in the movie (probably the only instance of the film being more scientifically credible than the novel). In Weir’s version, the mission abort happens 6 days after the astronauts land on Mars – in the movie it’s 18 days. Why? Well, the reason is somewhat indecorous, so I won’t spell it out. Let’s just say that Watney needs an adequate supply of human-sourced fertiliser to grow his potatoes.